The current lead-time on black powder coat is 2-4 weeks and the lead-time on chrome is 4-6 weeks as of September 2015. This bar is made just for the 2015 and 2016 Harley-Davidson Road Glide bike models. The DJ bar is also available for CVO editions. 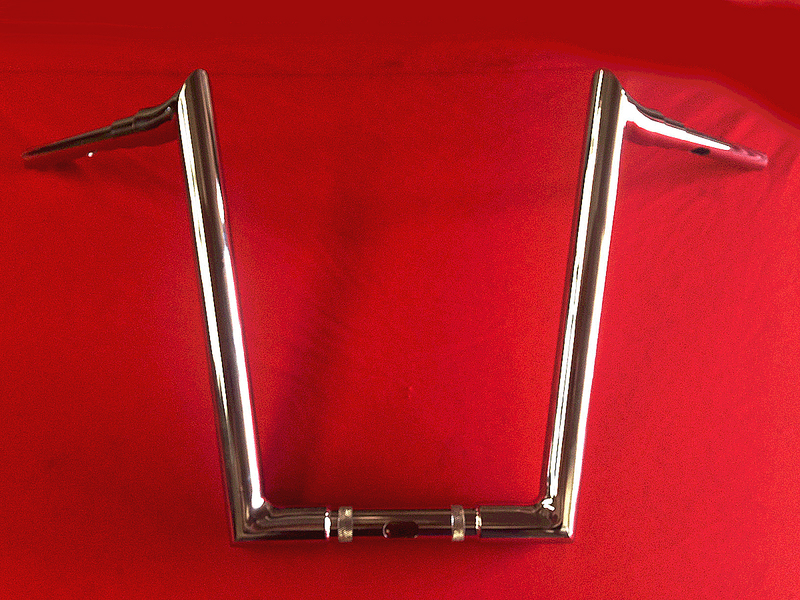 This bar has a 1.25" center tube and will accommodate the stock risers. However, unlike the stock bars, there is a slotted pin hole to allow ample forward/backward positioning of the bars. The bars are designed to be used with stock controls. This means customers can keep their stock switch housings, reservoirs, and grips. No pins need to be ground off. It is also made to allow riders ample rotation of the controls to adjust hand position with varying height and bar rotation. The height from the bottom of the center cross tube to the top of the grips.